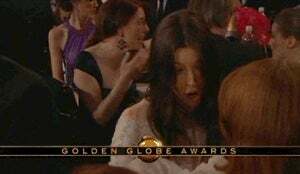 The best thing about the Golden Globes is that alcohol is served. 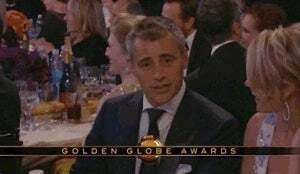 The second best thing about the Golden Globes is that there are cameras there to capture celebrities in all those little unguarded moments. We collect the highlights here. 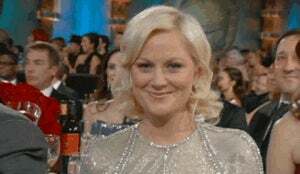 Best Nom Bomb goes to Tina Fey who crept into Amy Poehler's nomination shot. 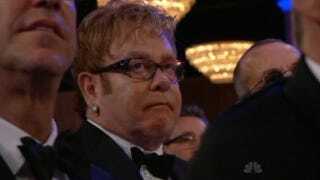 Madonna won for best song neither Elton John nor Mary J. Blige could hide their disdain. I hope this is her impression of Elton. This is how Madonna was when it was no longer about her. 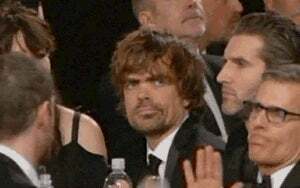 Ben Kingsley's date got drunk because she was bored and then she started making bad decisions. Here's Morgan Freeman, hoping Sidney Poitier doesn't die before finishing his introduction. And here's Dustin Hoffman hoping he doesn't die before the night is through. 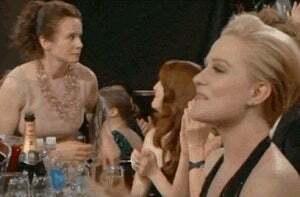 Emily Watson is confused as to why she's even there. You know what's sad? 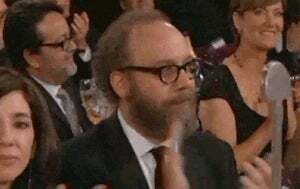 Google "Emily Watson Golden Globes." Viola Davis looked extremely grateful for her refill. Octavia Spencer cat-called Channing Tatum. Kate Winslet's reaction to Thomas Jane's hat. This was my favorite thing of the whole evening, only because something stupid like this is only funny when either you're sitting in church or pretty buzzed. Or both. Jessica Biel stole my heart with her corniness.